Jackson guitars have been universally lauded as the metal guitars – the shred machines, highly-original, high-performance instruments of distinctive style and formidable substance. Jackson guitars began in 1978 when Grover Jackson gained ownership of the Charvel Guitar Repair shop in California, subsequently gaining control of the Charvel business and brand. Jackson-built Charvel guitars debuted in summer 1979. Jackson Guitar manufacturing started in 1980 when guitarist Randy Rhoads approached Charvel with an idea for an individualized guitar, which resulted in the creation of the Concorde, an innovative revamp of the traditional Flying V. The Rhoads designs were such a departure from Charvel’s Stratocaster based brethren that Grover elected to label them with his own name. Jackson guitars, staked their claim as a wilder, high-performance alternative to their more traditional Charvel cousins. In the 1990’s they started to produce more affordable Asian made versions of the guitars and in 2002 Jackson/Charvel was acquired by Fender and US operations moved to the Fender factory. 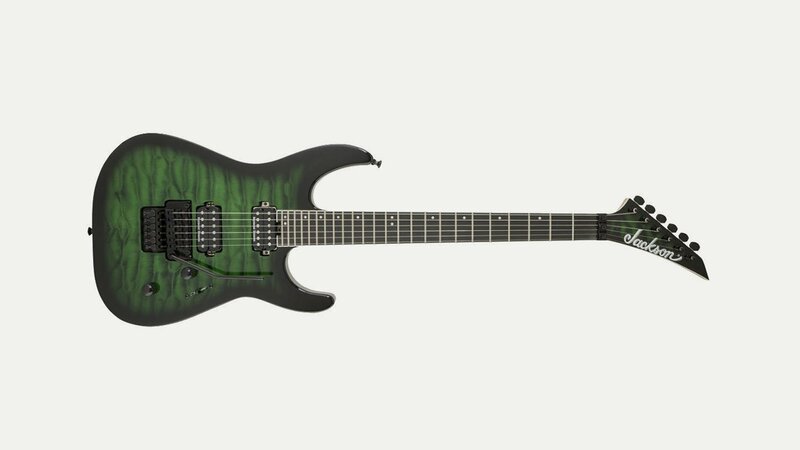 Jackson signature instruments have also come into their own, with magnificent models bearing top metal names such as Phil Collen (Def Leppard), Mark Morton and John Campbell (Lamb of God), Phil Demmel (Machine Head), Chris Beattie (Hatebreed), Adrian Smith (Iron Maiden), Matt Tuck (Bullet For My Valentine) and others.